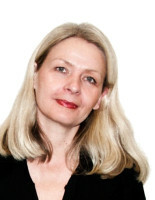 Since November 2011 Iris Därmann is Professor for Kulturwissenschaftliche Ästhetik in the Institut für Kulturwissenschaft at Humboldt-Universität zu Berlin.In 2009 she joined the Excellence Cluster Topoi. She studied Philosophy, Sociology and Social Psychology at the Ruhr-University Bochum, where she also wrote her doctoral thesis on “Tod und Bild” under the supervision of Bernhard Waldenfels as a Fellow of the DFG Research Training Group “Phenomenology and Hermeneutics” in 1993. Iris Därmann was awarded the venia legendi in Philosophy and Cultural History and Theory by the University of Lüneburg in 2003 after her thesis “Die vertagte Indianisierung Europas”. As a Visiting Fellow at the International Research Centre for Cultural Studies Vienna and as Guest Lecturer at the Leibniz Prize Research Centre “Cultural Theory and Political Theory of the Imaginary” of the University of Konstanz, she analyzed the cultural margins and conditions of political philosophy, ranging from antiquity to the present. As a Fellow at the Centre of Excellence “Cultural Foundations of Integration” of the University of Konstanz, between 2007-2008 she worked on developing an ordinary-culture-theory on the basis of The Gift by Marcel Mauss and its reception in France. From October 2009 until October 2011 she was President of the German Society for Phenomenological Research and organized the International Conference: “Force of Things. Things, Gegenstände, and Objects in Phenomenology”, since April 2010 member of the Advisory Council of the Faculty of Arts and Humanities III. As for the winter term 2010/11, Iris Därmann has received an invitation as a Fellow at the International Centre for Cultural Techniques and Media Philosophy of the Bauhaus-Universität Weimar. She is spokesperson of the research group (B-3) Oikonomia.